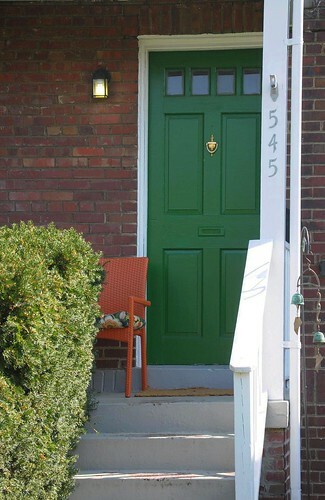 If you’re looking for inspiration for a new front door color, well, look no farther than your own neighborhood. 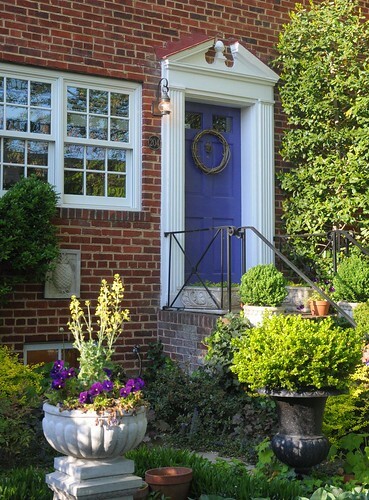 There are so many colorful options to chose from in Del Ray, each creating a cheerful entrance to your home. 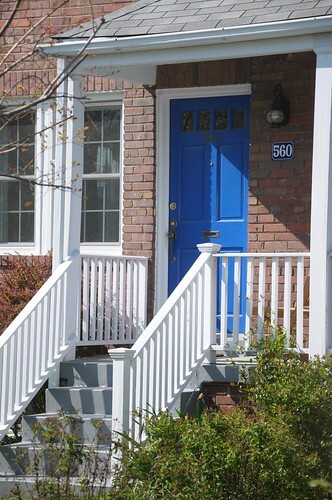 The color of your door also has deeper meaning in the world of Feng Shui. 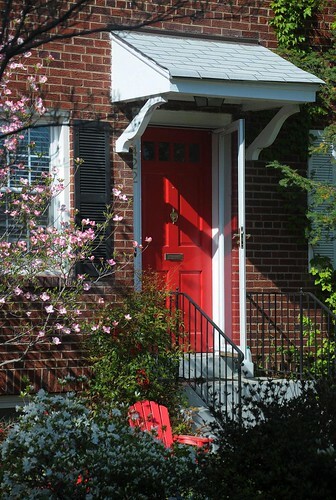 A red front door means welcome so it’s not surprising you’ll see a lot of red hues around the neighborhood, including these in cherry and pumpkin. Just as the concept of “going green” evokes a sense peace and care for natural elements, green doors symbolize peacefulness, harmony and renewal. 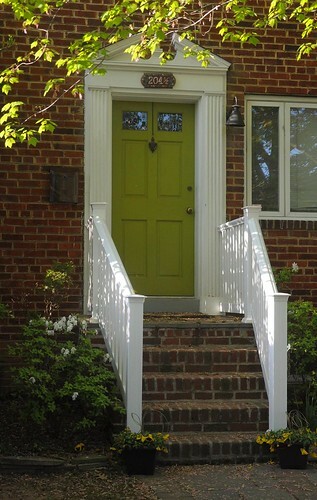 The yellowish tint to the chartreuse door on the left adds a hint of wisdom and whimsy. Like flowing water or a bright sky, blue suggests abundance and a rich purple symbolizes positive energy and new opportunities. I don’t know many people who want their home to look exactly like their neighbor’s, but when you live in the world of the boxy brick rowhouse, it’s hard to stand apart. 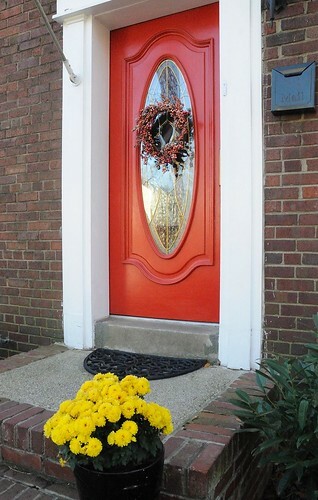 Painting your door in a bright new color is an easy and inexpensive way to break from the mold, and your chi will thank you as well.